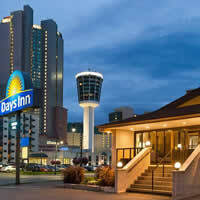 Niagara Falls has a great selection of hotels available to suit every visitor’s budget and needs. 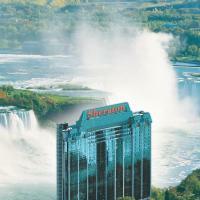 The list below contains every hotel available in Niagara Falls and the amenities offered. Quite often we receive inquiries about which hotel in Niagara Falls has a great location or which hotel do we recommend. Our advice is to prioritize your choices by their location in relation to the Falls. It is much easier to stay at a hotel where you can walk to the Falls and attractions due to the fact that there is very limited parking near the falls itself. Once you have narrowed down your choice to a particular Niagara Falls hotel the next step is finding the best price for your Niagara Falls visit. Direct links to a hotels website are provided where possible and to one of their affiliate booking websites. If you have questions or need assistance feel free to contact us. 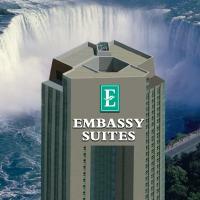 > Embassy Suites Niagara Falls Fallsview 6700 Fallsview Blvd. Rooms with Canadian & US Fallsview are the best. If you go for the breakfast buffet try to make it early as possible to avoid the crowds. We rate Embassy as having the #1 view of the Canadian Falls. The Keg Fallsview restaurant is spectacular. 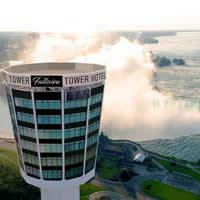 > Niagara Falls Hilton Fallsview 6361 Fallsview Blvd.Try to reserve on the highest floors in the North Tower. The Hilton has the best location for viewing both Falls. Kids love the indoor waterpark. The Watermark restaurant has the most romantic setting in Niagara. > Sheraton on the Falls 5875 Falls Ave. Best views of the fireworks and the American Falls. Close to Clifton Hill and the Rainbow Bridge. There are even a few suites with outdoor balconies. 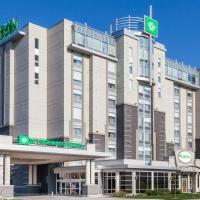 > Four Points by Sheraton 6455 Fallsview Blvd. Connected directly to the Fallsview Casino via an enclosed glass walkway. Reasonable rates and many restaurants close by. 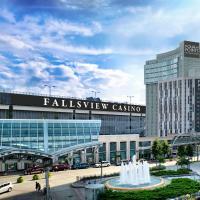 > Marriott Fallsview Hotel & Spa 6740 Fallsview Blvd. Tremendous views and typical Marriott service. Rooms tend to be on the small side yet they are furnished beautifully. 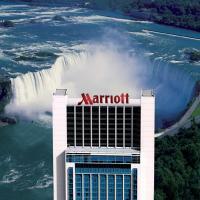 > Marriott on the Falls 6755 Fallsview Blvd. This Marriott does have Fallsview rooms but not from the perspective shown in the photo! Be sure to verify that you are reserving the type of view you want. Other than that this hotel is consistently receiving great reviews. > The Tower Hotel 6732 Fallsview Blvd. This has got to be the most unique boutique hotel in the world! Although they are a little short on amenities the views are spectacular. 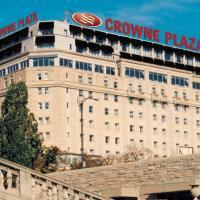 > Crowne Plaza 5685 Falls Ave. From heads of state to movie stars have stayed at Niagara Falls most iconic hotel. The Crowne Plaza is located very close to the Rainbow Bridge and Clifton Hill. Rooms tend to be beautifully appointed yet a bit on the small side. > Oakes Hotel Overlooking the Falls 6546 Fallsview Blvd. 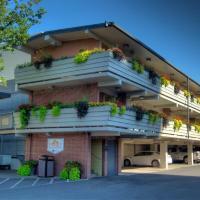 The Oakes is usually one of the lowest priced falls view hotels and it is reflected in the quality of rooms. Not that that is necessarily a bad thing as long as you know what to expect in advance. > Courtyard Niagara Falls 5950 Victoria Ave. 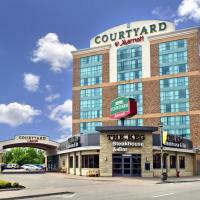 This Courtyard by Marriott is one of our favorites. Very well maintained and located in the heart of the tourism district. While they do not have falls view rooms they are very close to everything. Excellent reviews. 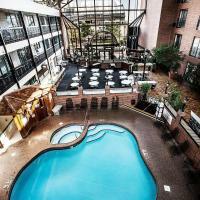 > Radisson Hotel & Suites Fallsview 6733 Fallsview Blvd. The Radisson has a limited number of falls view rooms yet they have a tremendous staff that offers friendly, helpful service. Located close to the funicular railway for easy access to the falls during prime season. 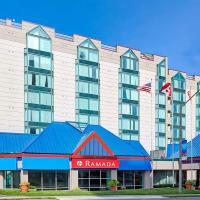 > Ramada Niagara Falls 6045 Stanley Ave. Even though they use the name “fallsview” they have no fallsview rooms. Other than that they offer clean comfortable rooms at a reasonable price. 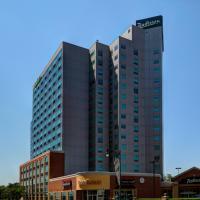 > DoubleTree Fallsview Resort by Hilton 6039 Fallsview Blvd. We give high marks to the Doubletree Fallsview for maintaining their property to a high standard. They do offer a few top floors with views of the falls but the best thing is they do not sell rooms to bachelor party’s and this guarantees a good nights sleep! > Travelodge at the Falls on Clifton Hill 4943 Clifton Hill Located in the heart of the Clifton Hill tourism district. Reviews have been steadily getting better with few complaints. Due to the fact that they are on a busy street you may want to request a room facing the parking lot if you are a light sleeper. > Howard Johnson Hotel By The Falls 5905 Victoria Ave. 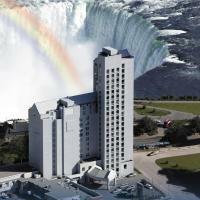 The HoJo by the Falls is one of the most popular budget minded hotels in Niagara Falls. Clean comfortable rooms and a great staff make for an enjoyable stay! 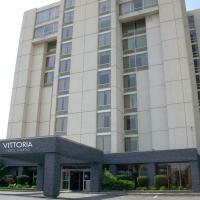 > Vittoria Hotel & Suites 5851 Victoria Ave. The Vittoria Hotel is under new ownership and recent reviews give them high marks. 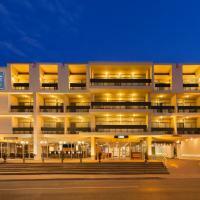 Located in the heart of the tourism district they are close to everything. > Clifton Victoria Inn at the Falls 5591 Victoria Ave. A former Hampton Inn with spacious, clean and comfortable rooms. Although most reviews point out that the rooms are dated it does have a great location in relation to the water park and Clifton Hill. 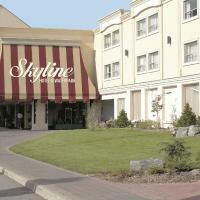 > Skyline Inn 4800 Bender Hill The Skyline Inn is close to the fallsview water park and Clifton Hill. We recommend this hotel for families with children. Their optional breakfast package is highly rated. > Motel 6 Niagara Falls 5700 Stanley Ave. Reviews for the Motel 6 are average and that is what you should expect when you pay less for a stay in Niagara Falls. A bit of a hike to the Falls yet located in a quiet area for a good nights sleep. They are also one of the few hotels which allow pets. 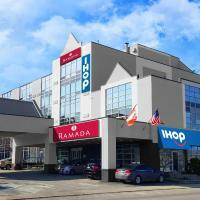 > Ramada near the Falls 5706 Ferry St. Many reviews give this Ramada a higher than average rating. 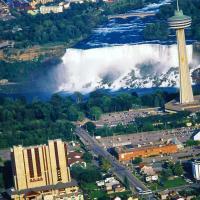 For Niagara Falls the prices are reasonable and the quality of rooms are reasonable. > Old Stone Inn 6080 Fallsview Blvd. The best thing about the Old Stone Inn is that it is a very short walk to the Falls and attractions. Reviews are on the positive side. 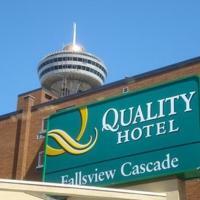 > Quality Hotel Fallsview Cascade 6080 Fallsview Blvd. This Quality Hotel really has nicely decorated rooms and is in the best location for walking to Queen Victoria Park to view the Falls. Reviews give the Quality Inn very good to excellent ratings. > Thriftlodge Clifton Hill 4945 Clifton Hill. This Thriftlodge is a Thriftlodge and not the Ritz Carlton. Reviews tend to be good and they are in a great location and offer rooms at a reasonable price. Not the best place to stay if you are a light sleeper. 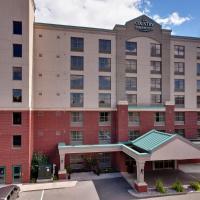 > Holiday Inn by the Falls 5339 Murray St. Over 70% of visitors rate the Holiday Inn as very good to excellent. 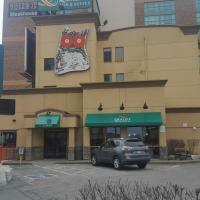 Location is great as it’s close to the Falls and the Fallsview Casino. There is also a great selection of nearby restaurants at the Hilton Fallsview and the Casino. 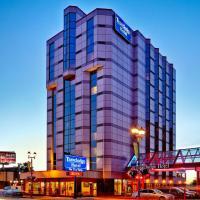 > Travelodge Hotel By The Falls 5257 Ferry Street This Travelodge is located in the “Fallsview District” and close to many dining options and tourist shopping. Hotel could use some updating and move their housekeeping up a notch or two. They do however have some of the best rates for a stay in Niagara Falls. 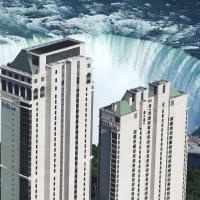 > Wyndham Garden Niagara Falls Fallsview 6141 Fallsview Blvd. This Wyndham Garden offers spacious rooms at reasonable prices. Most reviews rate the hotel as being very good to excellent with very few negative remarks. > Days Inn Fallsview 6519 Stanley Ave. (no fallsview rooms) Due to the most recent reviews being negative we have a hard time recommending this hotel. The property has been recently purchased in order to tear it down for a new hotel. Hopefully this will happen in the not too distant future. They do however have the lowest room rates in the city. > The Falls Hotel & Inn 5657 Victoria Ave. 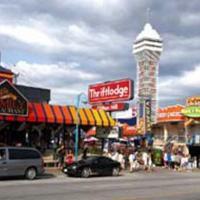 Located close to Casino Niagara and Clifton Hill. 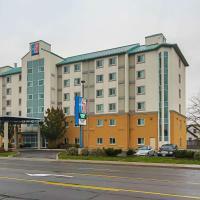 > Days Inn & Suites Niagara Falls 5068 Centre Street. 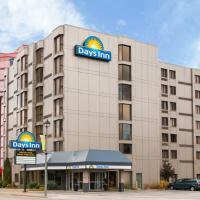 Days Inn Centre Street has fairly positive reviews and very good rates. Most reviewers state that it is a good value for what you pay. > Niagara Falls Days Inn Near The Falls 5943 Victoria Ave. 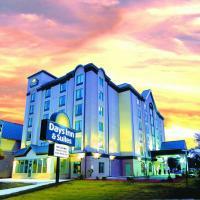 Most reviewers give this Days Inn positive reviews for having clean comfortable rooms. They also state that the property could use some updating in the near future. All in all it is a decent place to spend your visit in Niagara Falls. > Sterling Inn & Spa 5195 Magdalen St. 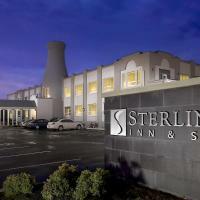 The Sterling Inn & Spa is consistently rated as one of the best hotels in Niagara Falls. While they do not have fallsview rooms the hotel is known for being extremely well maintained, very clean comfortable well decorated rooms. The staff is also rated as being top notch. You could not possibly go wrong staying here. 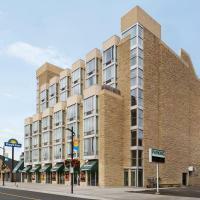 > Quality Inn & Suites 5234 Ferry St. Very mixed reviews for this property from very good to very disappointing. It sounds as though the hotel is in need of room upgrades. 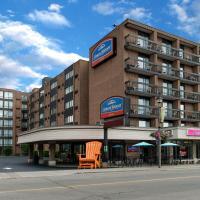 > Travelodge Fallsview Hotel 5599 River Rd. We love the location of this Travelodge as it is close to the Rainbow Bridge and Clifton Hill. 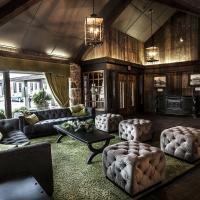 Reviews are a mixed bag with numerous negative comments about the age of the decor. On the other hand most report that the staff is excellent and helpful. 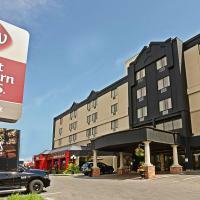 > Country Inn & Suites 5525 Victoria Ave. Country Inn & Suites consistently has excellent reviews. The majority of the reviews state that it is clean, comfortable and in a great location. Their fee for parking is inexpensive compared to most Niagara Falls hotels. > Best Western Cairn Croft Inn 6400 Lundy’s Lane. While the Best Western Cairn Croft Inn is not within distance of the Falls it does have an extremely large amount of excellent reviews. Most comments are very complimentary of the staff and in general what a great place it is to stay! 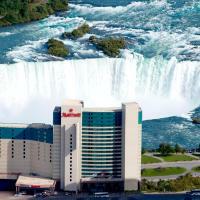 > Ramada Niagara Falls by the River 4357 River Rd. 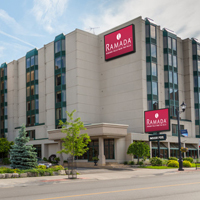 While this Ramada is not close to the Falls in terms of walking distance it is on the WEGO tour bus route. If you don’t want to be around all the hustle and bustle this is the place to stay. Very positive reviews. 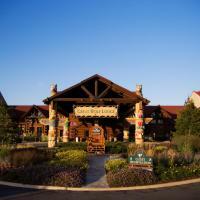 > Great Wolf Lodge 3950 Victoria Ave. Great Wolf Lodge is an amazing family oriented hotel complete with its very own water park. Prices are not cheap. Most reviews are very positive with many stating how clean the property is and the helpfulness of the staff.